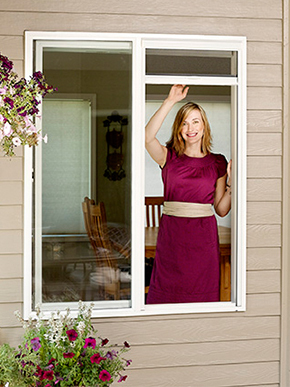 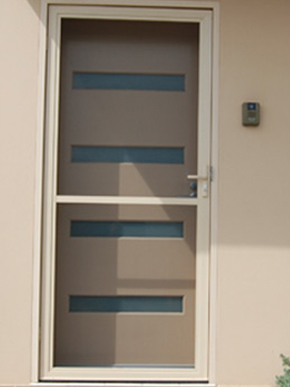 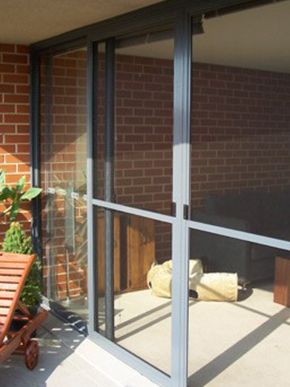 Our flyscreen doors are made with quality aluminium frames. 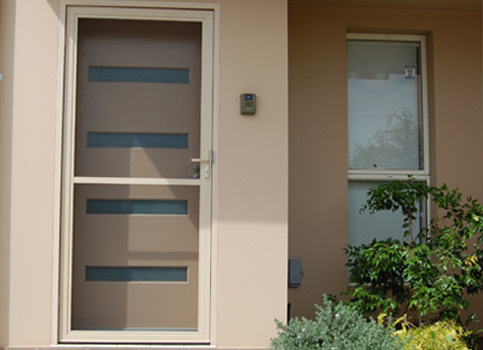 We install both standard sized and custom made flyscreen doors anywhere on the Sunshine Coast.Our quality fly screens are powder costed to suit most colour schemes and withstand our sunny weather and ocean breezes. 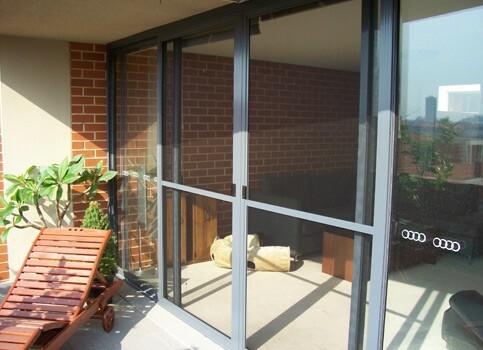 Tuff (pet mesh that won’t be ruined by cats or dogs).